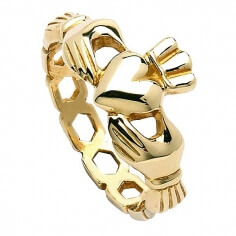 The Claddagh is Ireland's everlasting commemoration of friendship, loyalty, and love. Our women's Claddagh ring pays homage to this timeless symbol with its figurative representation and unparalleled pierced band design. 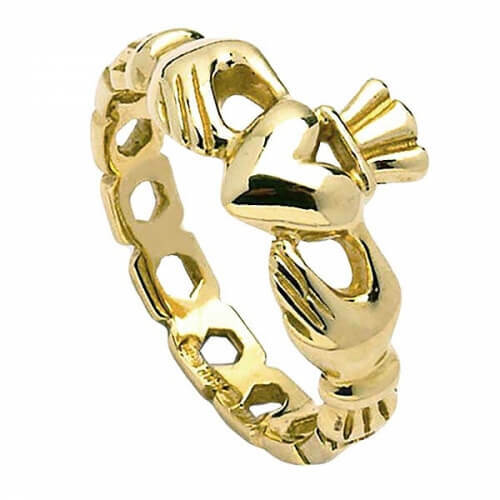 With roots in what was once a humble fishing village near the center of present day Galway City, the Claddagh has become an internationally recognized motif. 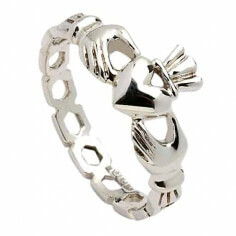 Nonetheless, its meaning and even the way it is worn—facing toward or away from you—is deeply rooted in Irish tradition. Available in silver, 10k or 14k yellow gold, and 14k white gold.